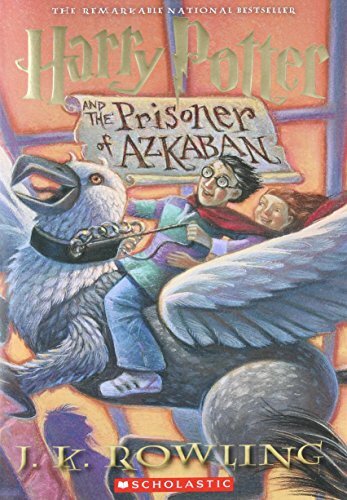 A list of all Harry Potter books, including plot summaries and alternative titles. 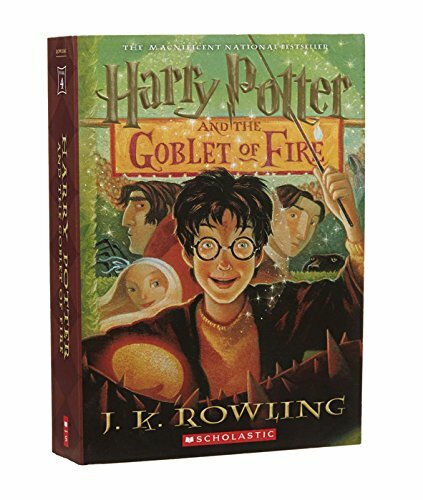 Contains also other, official books that were published and that are part of the world of HP! Harry Potter's world is a secret one that exists parallel, and unknown to, our 'normal' society. It is a world of magic, full of wizards and witches, magic creatures and epic battles. This wizarding world relies on magic as its driving force, things like electricity and computers don't work there. The people of this magic society call non-magic people 'Muggles' and the Muggles call them 'non-existent' ;-). Apart of a few historic flashbacks and side stories, all events described in the books take place in nowadays Britain. Each book encompasses roughly one year in the life of its main protagonist – Harry Potter and all were written by J.K. Rowling. 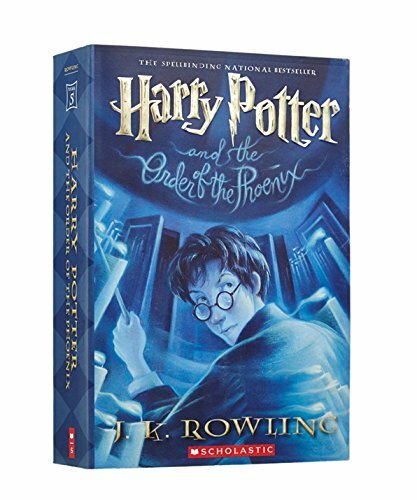 This is the only Harry Potter book with different titles in the USA and the UK. Reason being is that the original American publisher was convinced that the word 'philosopher' in the original title would put American buyers off. The story starts in 1991 with the introduction of the Dursley family, a white British family that lives in Little Whinging, Surrey (England). Vernon and Petunia, the parents have a son called Dudley that is at the start of the story a bit older than one year. The Dursley family disapproves of everything that is not 'normal' and their definition of what is normal is pretty narrow. So it is no wonder that they are not pleased at all as they find one morning the baby boy Harry Potter, Petunia Dursley's nephew, on their door step! Accompanying Harry is a letter that states that his parents, both wizards, have been killed by the dark wizard Lord Voldemort and that they are the only family Harry now has. Lily, Harry's mother was Petunia's sister and so the Dursley agree, gruntingly to take Harry in. Over the next ten years Harry suffers a lot of abuse and bullying from the Dursley family that tries everything to 'put a stop to all this rubbish'. But on his eleventh birthday Harry learns to know the truth: That his parents didn't die in a car crash, like the Dursley's pretended. That they were wizards and that he is also one and that he is about to go to Hogwarts School of Witchcraft and Wizardry to become a fully qualified wizard. He also learns to know that his parents have left him enough money, in wizarding currency, to pay for all of this. Hogwarts, where from now on most of the books take place, is a boarding school and soon Harry finds two friends there, Ronald Weasley and Hermione Granger and the three become inseparable. The story continues with the discovery that Lord Voldemort, the murderer of Harry's parents, is not truly dead, but continues to live, but reduced to being barely a spirit. Lord Voldemort plots to return to life with the help of the Philosopher's stone, a magical artifact that can produce the elixir of life and makes the drinker immortal and that is guarded at Hogwarts. Harry and his two best friends achieve to prevent this and Lord Voldemort flees defeated. Harry returns at the end of the first book back to the Dursley family – but only for the holidays! The second book starts again at the house of the Dursley family where Harry receives, at the end of his holidays, a visit from Dobby the house elf that warns him not to return to Hogwarts as 'terrible things are about to happen there'. Despite Dobby's best efforts to hinder Harry's return, Harry manages to do so by using the flying car of the Weasley family, the family of his best friend Ronald. Soon it becomes clear that something sinister is going on at Hogwarts, people are getting attacked and mysterious messages appear at the Castle's walls. It is then revealed that the mythical 'Chamber of Secrets' has been opened again and the monster that lived in it has been freed. 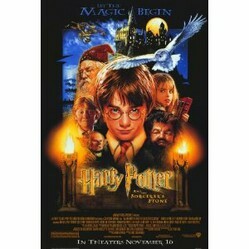 As Ginny, Ronald's little sister, is kidnapped the three friends decide to rescue her and succeed. At the end of the book it becomes clear that the reason all this happened was that a supporter of Lord Voldemort smuggled a magic diary into Ginny's books. This diary contained the memory of Lord Voldemort and slowly forced Ginny to do all the attacks and write all the messages. As Harry destroyed the diary this memory was also destryed and Ginny was, once again, completely herself. Harry also accomplished to set Dobby, the house elf, free from his master – the one who gave Ginny the diary with bad intentions. 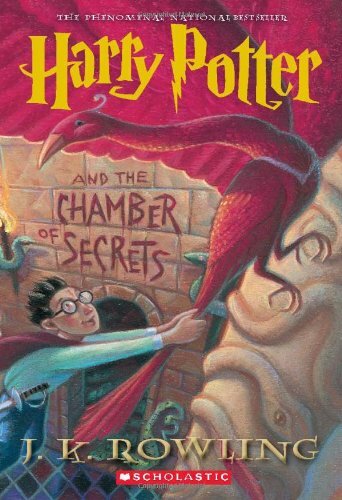 At the beginning of this book Harry magically 'blows up' his aunt who insulted his parents in front of him. He then flees the Dursley's house and, with the help of the magic knight bus, returns to the wizard world. Soon it becomes clear that he is, again, in danger. This time from the 'Grim', a magical specter that is an omen of death. 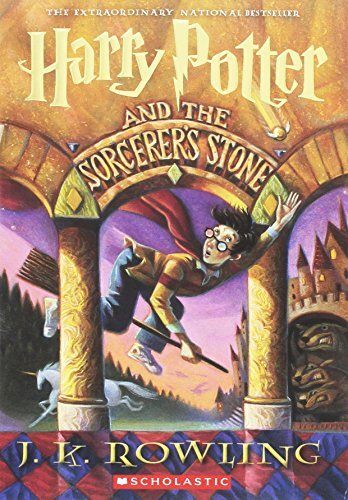 This is the only book where Lord Voldemort doesn't make an appearance btw ... Instead Harry needs not only to learn how to avoid the 'Grim', but also how to fight the effect the dementors, the prison guards of Azkaban, have on him. These have been send to Hogwarts because it is feared that the dark wizard, Sirius Black, that has escaped from Azkaban is after Harry. At the end the story takes a surprising turn, revealing that Black is not only innocent but also Harry's godfather. 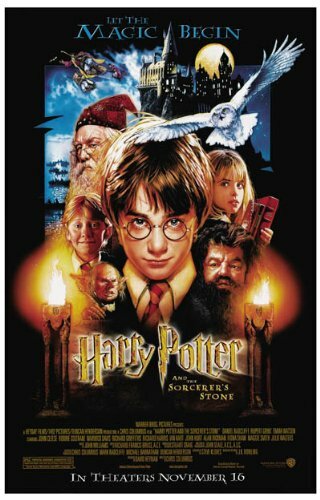 In the fourth book Harry is magically chosen to compete in the Triwizard Tournament, a magical competition between the three main magical schools in Europe. Harry has to solve riddles, fight dragons and mer people, but in the end he and his fellow Hogwarts champion, Cedric Diggory, succeed in obtaining the price. But the price has been magically altered by a follower of Lord Voldemort and transports them to a graveyard where Cedric is killed and Harry witnesses the return of Lord Voldemort to his body and power. Things are not going well at Hogwarts! The ministry of magic ignores the fact that Lord Voldemort has returned to power and tries to suppress any attempt of warning the wizarding world against him. The ministry witch Dolores Umbridge is placed as high inquisitor at Hogwarts and installs a regime of terror in order to suppress both teachers and students and to make them conform to the new ministry policies. Harry and his friends form a resistance group called Dumbledore's Army, after the headmaster of Hogwarts, and teach themselves to fight against the dark arts. 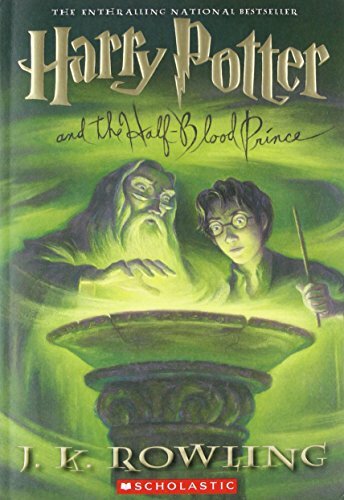 It becomes clear during this book that there is a strange connection between the minds of Harry and Lord Voldemort which ultimately leads the Dark Lord to pretend to Harry that he has kidnapped his godfather, Sirius Black. Harry and some of Dumbledore's army mount a rescue mission for Sirius, but discover that the whole thing is a trap. Sirius, together with other members of the Order of the Phoenix (another anti-Voldemort resistance group), comes now to Harry's rescue, but unfortunately Sirius dies during this mission by the hands of Bellatrix Lestrange, one of the most fervent followers of Lord Voldemort. At the end of the book Professor Dumbledore reveals to Harry that shortly before his birth a prophecy was made about him and Lord Voldemort and that it was because of this prophecy that his parents were killed. Harry was never a good student of 'potions' as he and the potions teacher, Prof. Snape hated each other from the beginning of the series. Now not only a new potions teacher is at Hogwarts, but Harry also finds a textbook with helpful annotations and becomes soon the best in class- at least in this subject. Also Prof. Dumbledore is starting to give him private lessons and reveals to him that the real reason why Lord Voldemort didn't die when the curse he cast towards Harry rebounded is that he had previously split his soul in several horcruxes and hit them in safe places. Dumbledore makes it clear that before Voldemort can be destroyed forever, these horcruxes have to be found and destroyed first. Meanwhile several attempts to kill Prof. Dumbledore are made by Voldemort's followers and, in the end, he dies by the hand of Prof. Snape whom he trusted all these years completely. Harry resolves not to return to Hogwarts the following year, but to go and hunt and destroy the remaining horcruxes in order to be able to, one day, kill Voldemort himself. His friends Ronald and Hermione insist in going with him. The ministry of magic has fallen and Voldemort has risen openly to power. Harry, Hermione and Ronald are alone in their hunt for horcruxes. Two of these have been destroyed in the previous books by Harry and Prof. Dumbledore respectively and during the story of this book the three friends succeed to destroy three more. Only two more remain and then Lord Voldemort himself is truly mortal again. One is his snake Nagini and one is – Harry himself. This book reveals the background of the whole story, why certain things happened and what they mean and who was and who wasn't a true follower of Lord Voldemort. Yes, in the end Lord Voldemort of defeated by Harry and his friends and no, not every of our favorite characters survived the epic battle of Hogwarts! 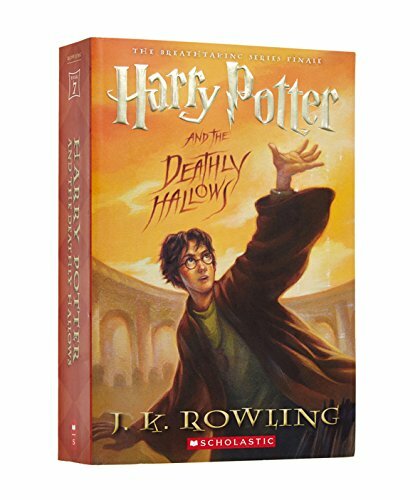 The books below are not directly part of the Harry Potter series, but supplemental books written by J.K. Rowling and mentioned throughout the series. They make a great gift for Harry Potter fans that have finished with this list of Harry Potter books and yearn for more ;-) The profits of all three books are donated by J.K. Rowlings to a children's charity btw. Only mentioned in the last book of the series, Harry Potter and The Deathly Hallows' it is a book of children stories said to be translated from the original runes by Hermione Granger herself ;-) It is the kind of fairy tales that wizarding parents have read since generations to their children and contains such gems like 'Babbitty Rabbitty and her Cackling Stump'. Quidditch is the most loved sport in the wizarding world and Harry is excellent in playing it! This book is a complete history of Quidditch and – the racing brooms that are so essential to it. A must have for any sportive Harry Potter fan! 'Draco dormiens nunquam titillandus!' - Never tickle a sleeping dragon! Do You like to write? Do You want to earn money with Your writing? Simply click the banner below and sign up for FREE! Terry Pratchett's Discworld is one of the most successful fantasy series of all time. Granny Weatherwax is probably its most popular character. But she changes over time. I was probably the only person left who had not read Suzanne Collins's amazing trilogy. Once I'd taken the plunge, I was riveted for days, until all three books were read.